We understand the critical role that trailers play in the everyday lives of so many throughout the Okeechobee area, and we understand how productivity can come to a screeching halt when a trailer is in need of repair. Since 1926, Domer’s has been supplying the industry with top notch trailer parts and accessories, and we take pride in our ability to get you exactly what you need when you need it in order to minimize your downtime and maximize your profits. Domer’s is proud to call itself your one-stop shop for all things trailer related. 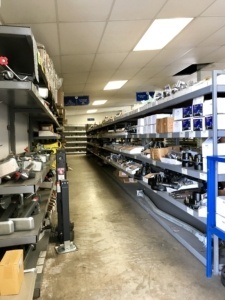 Anything from boat trailers to recreation, flatbeds, utility and industrial, or agricultural trailers, Domer’s has you covered with the best quality parts in the area. We probably have it in stock, if we don’t we can get it. If you find yourself needing help, we also offer trailer repair.